This was amazing. Joe said it tasted very ‘fancy’. It’s the perfect combo of spicy and savory and just downright delicious. 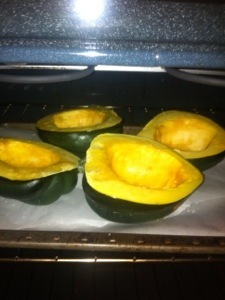 It did take a little while to make so pop those squashes in the oven pronto and then get to work on the filling. 1. Preheat the oven to 400. 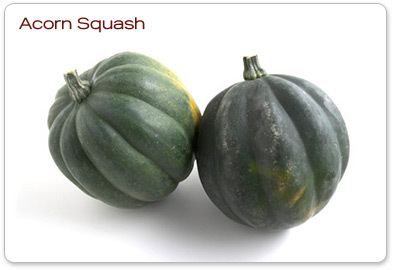 Cut the squashes in half and season them with some salt and pepper. Drizzle a little coconut oil into each of them and around the rim. Add the finely chopped sage to the inside of the squash. Roast for about 45 minutes. 2. Take your sausage and ground beef and add them to a pan, making sure the sausage and beef are totally combined together. When done cooking, set aside in a large bowl. Keep the fat from the meat inside the pan. 3. Finely chop the onion, garlic, and celery and add to the pan. Saute for a few minutes until they are softened. 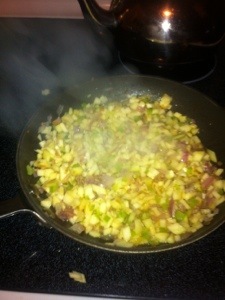 Add a little salt and pepper and then add the chopped apples. Saute these for a few more minutes. 4. Add the vegi mixture to your bowl containing the meat and blend together. Once it is slightly cool, add the beaten egg and almond meal. When everything is combined, chop up the rosemary into very find pieces and add to the filling mixture. 5. After the squashes are done (I put them face up and then half way through flipped them). 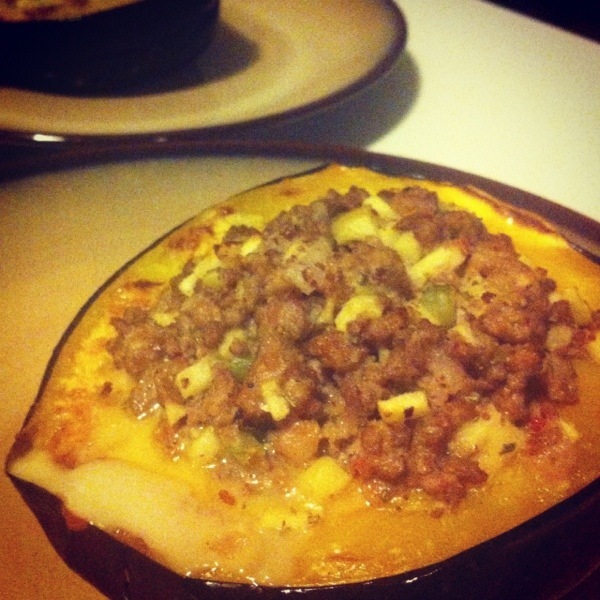 Add the stuffing to the insides of the squashes. Make sure they are heaping mounds on top of the squash. Bake for another 15-20 minutes. 6. These are super hot so be careful about chowing down right away. Wait a few minutes and then serve with a light salad. These are pretty filling so you really only need some greens on the side, well, just because its always good to have some greens on the side! This is the perfect meal for Fall. You could probably add more seasoning, or more vegi’s, but just experiment with this recipe and you are sure to make a hit dish. I cant wait for tomorrow to eat the other half for lunch! !